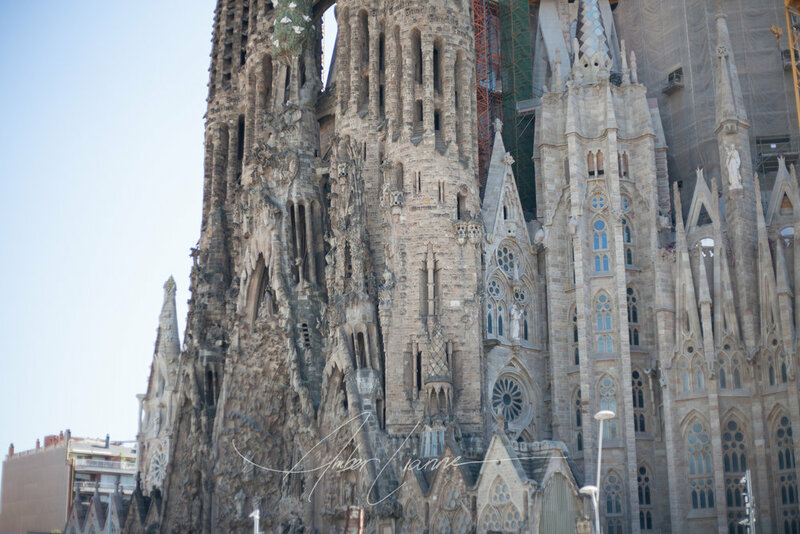 When I had the privilege of visiting my friend in Barcelona this Spring, I was able to do vacation on my own terms. Essentially that meant wandering the city streets, going to coffee shops, and enjoying incredible food and wine. I went for early morning runs with the sounds of Barcelona waking up to greet me, and my friend and I went to a fashion show over the weekend I was there. It was a fantastic experience. I love truly experiencing the true feel of a place when I have the opportunity to travel, and as such, sometimes I don't bring out my camera as often as I perhaps even should. I also tend to be wary of tourist attractions. 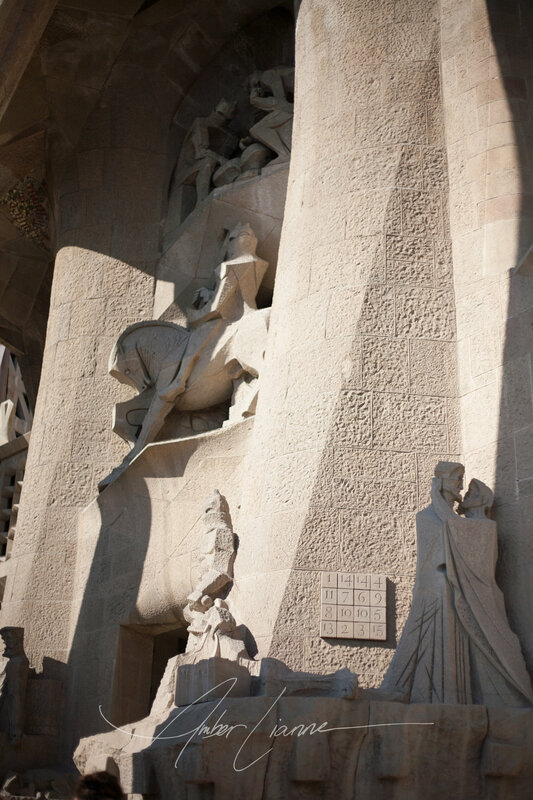 That all being said, the architecture of Barcelona is amazing, and there are multiple buildings all over the city that Antoni Gaudí put his craft to display. His work is incredibly iconic, fantastic, beautiful, and reminiscent of nature itself in an unexpected way. 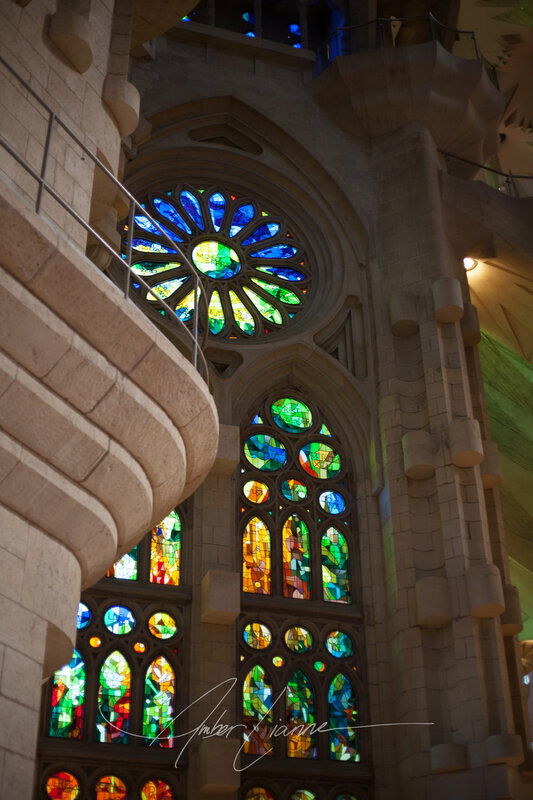 My friend recommended touring The Sagrada Família even though it was indeed a tourist attraction. I am so very glad I did. 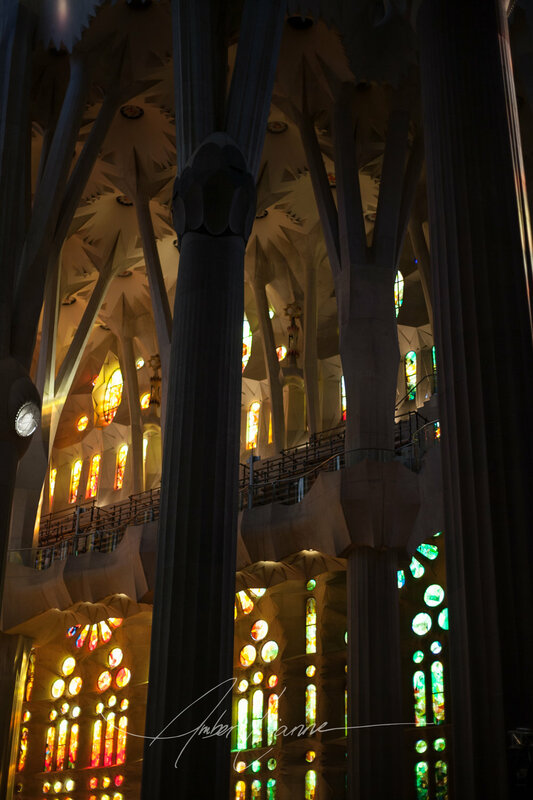 These pictures hardly do it justice I feel, but perhaps you may glimpse a little of Gaudí's intent to incorporation nature itself into its design and structure. If you ever have the chance to visit, I highly recommend doing so! 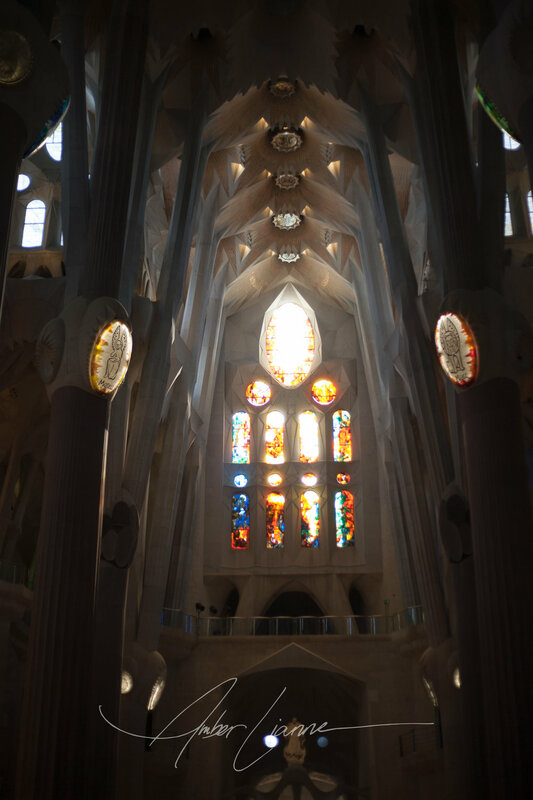 These are some of my favorite photos of this incredible Basilica and Church.